In ten years Florence International Tattoo Convention has achieved to hold a prestigious place in the international tattoo scene, while is considered to be one of the most important tattoo festivals in Italy and as well as in Europe. This year Florence Tattoo Convention is celebrating its tenth anniversary. Pending the festival, HeartbeatInk Tattoo Magazine spoke with the team of Florence Tattoo Convention and provides you with all the necessary information for the upcoming celebration of the tattoo in the beautiful city of Florence. The festival will be hosted in Fortezza da Basso, a 14th century fort and will run from Friday the 3d until Sunday the 5th of November. HeartbeatInk will be participating at the festival with its own stand. Photos by Florence Tattoo Convention. What inspired you and made you decide to start a tattoo convention in Florence ten years ago? We all have been working in that field and wished to wake up the sleeping beauty city of Florence, cradle of the renaissance but devoid of this type of event. How do you see the tattoo convention’s progress and metamorphosis throughout the years? Over the years we have seen an incredible leap of tattoo artists who improve themselves to get better and more adept, as well as a remarkable increase in audience who became more and more demanding and interested in different tattoo styles and artists who came from abroad. Did you face many difficulties during the first years of the convention? Yes, we did. We were only a group of friends who didn’t have any experience and we suddenly had to run an event which grew up, luckily, too fast. What were your goals in the beginning and how have they evolved? We are so highly interested about quality and not quantity. That is our strength. We also wanted the tattoo to be recognized as a true art form, and through our incredible tattoo artists and massive exposition area, every year is different and more interesting. So we achieved our goal. Does it play a role in Florence Tattoo Convention the fact that Florence is famous and worldwide acknowledged for its arts? We hope so. We have always tried to put the city of Florence in the spotlight, we also have a section on the site dedicated to the beauties of the city. And yet most of the tattoo artists are absolutely interested in the roots of art that are flourishing in Florence. How is tattoo perceived by the Florence art scene? Florence is not as open as Milan. However, compared to ten years ago there have been great changes. Even art galleries are interested in our event. How many tattoo artists will be participating in the 10th Florence Tattoo Convention? More than 330 artists from all five continents are taking part. Most of them are from Europe and USA. There are about 15 Greek tattoo artists that are participating at the convention this year. What is your opinion about the Greek tattoo scene? We think that Greece has nothing to envy from any other country. We love its impetus towards new styles such as the Dotwork. We also remember with respect the historical artists of the past. What are the activities of the 10th Florence Tattoo Convention? Any special celebration perhaps for the ten-year anniversary? We wish to celebrate with all of our affectionate supporters and we will donate them an edition full of great artists, expositions, a workshop on pictorial realism, shows and remarkable concerts. Who are the festival’s special guests this year? For the tenth edition, we will be particularly focusing on artists working with the Indonesian tukul kayu (Hendra Folk and Albar Tikam), the Mexican handpoke (Samuel Olman), the Japanese Irezumi (Ryugen and Tenkiryu), the Thai wand (Matt and Rung Ajarn), as well as Filipino and Korean techniques. Andreoli, just to name a few. Many acclaimed artists from the international tattoo scene will also be joining us for the tenth birthday of the convention. Among them there will be the legendary Bill Loika, Sam Barber, Juan Gonzales, Sasha O'Kharin, Jeroen Franken, Chris Higgins, Neon Judas, Benjamin Laukis, Agnieszka Kulinska and Bogdan Bacanu. 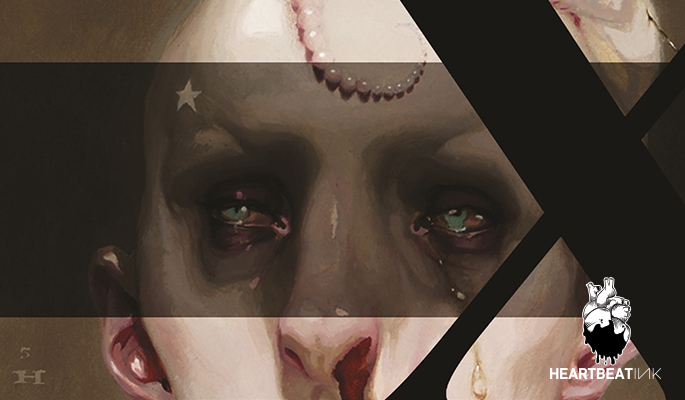 We are very pleased to host the great painter Michael Hussar who will lead a workshop, the famous anthropologist Lars Krutak and his conference, and the beautiful tattoo model Bernadette Macias. What kind of crowd does the tattoo convention mainly attract? Our dynamic target group has been the 20 - 35 year olds; however, we no longer have any sort of classification. The convention attracts young people as well as families and curious retired people. What is the role of the Florence Tattoo Convention in the Italian, as well as in the international tattoo scene? Luckily most of the visitors have been saying that we are one of the best Italian tattoo conventions. As we have already mentioned we are particularly concerned about quality, and also the unique location plays in our favour. For these reasons we are very renowned abroad. Do you think that tattoo has radically changed in the last decade? We have moved from a preponderance of the traditional and tribal to the emergence of new styles and the “marrying” among them. Even the public is more and more interested in a certain style they like more compere to another. We believe it is one of the most important changes in the tattoo scene. It is highly possible that every weekend a “tattoo convention” is happening somewhere in the world. In your opinion is this something good or bad? Too much is even worse than not having enough. Especially if people do it only for the money and not from passion. FLORENCE TATTOO CONVENTION at Fortezza da Basso, in Florence, Italy. Saturday & Sunday 12:00 - 02:00.